At the heart of this book is the recently discovered autobiography of a strong farm woman and mother who endured crushing hardship to achieve independence and dignity. 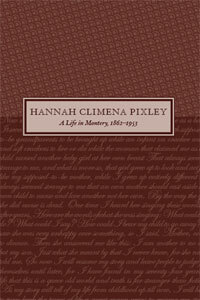 Hannah Pixley, born in Monterey, Massachusetts, during the Civil War, was raised in poverty and indifference by her “supposed” mother and grandparents. Eventually she married and bore five children while working the land and caring for her mother. She lived well into modern times, always keeping country ways. Her oral narrative, written down by her daughter, forms an authentic piece of history not found in textbooks; it adds to our understanding of the role taken by women in rural New England. In an unschooled, haunting voice Hannah Pixley tells a compelling story of family relationships, struggle, and simple joy.